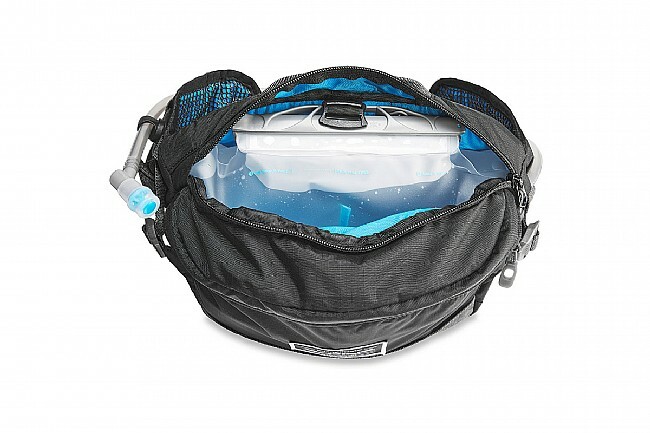 The Hot Laps 5L Waist Hydration Bag comes with a 2L Hydrapak® reservoir, hose, and self-sealing bite valve. 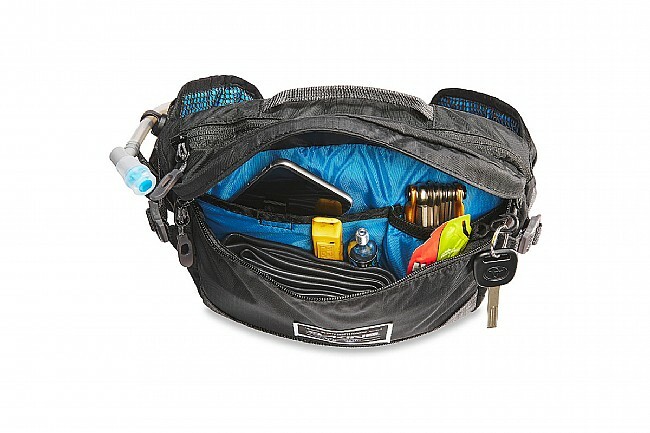 An additional internal pocket with organizing dividers holds gear and fuel. External attachment straps can secure items like a safety light or keys. 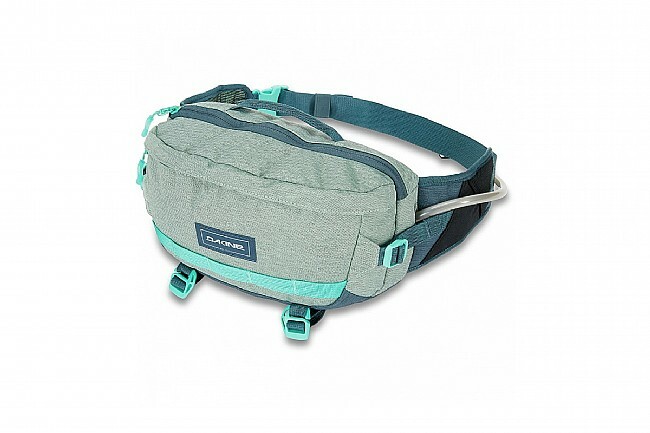 The side compression straps help stabilize the pack while the AirFlow back panel wicks away moisture. 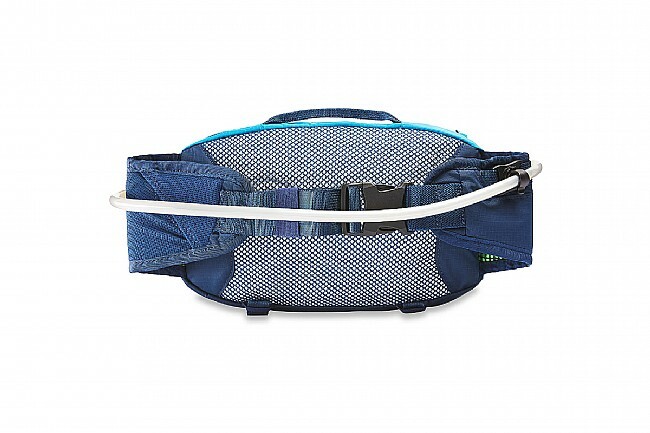 Magnetic buckle auto-locates hydration hose. Materials: 200D Nylon Ripstop (solid designs); 600D Polyester (printed designs). Dimensions: 12 x 7 x 4.5 inches. Snug, well made and stylin!! Awesomely well built , stays in place. Love it. The pack is a good size and laid out well. Construction and materials are excellent. I have two issues with the pack (1) The drinking tube is about 3 inches too short for me. I have to slow way down or stop and bend over to get a drink. 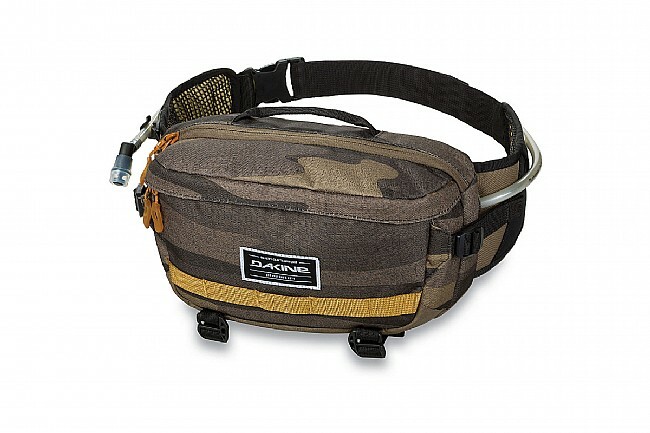 (2) the waist belt adjusts to length well, but it doesn't hold - it slips and loosens. I have to re-adjust it several times an hour. The Hot Laps pack is very comfortable. 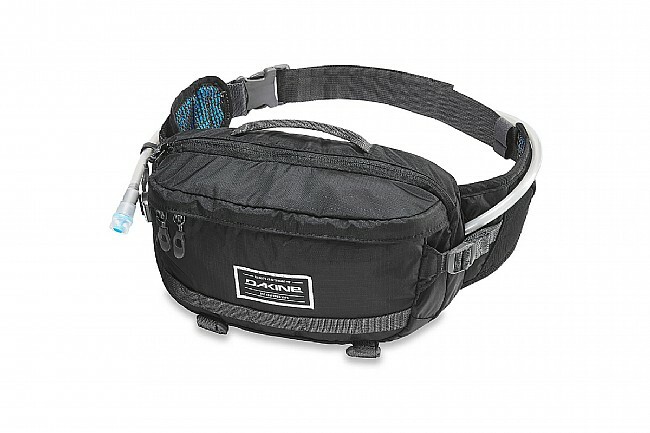 Allows you to take 70 oz of water with you plus tools, snacks, phone and Co2,s along for a 2.5 hour ride. The pack does need to be tightened as you drink water but for the most part, it stays in place. If I ever wear out this pack, I would purchase another.